Elsewhere, Robert Lewandowski scored a hat-trick to become his country’s record goalscorer as Poland thrashed Armenia 6-1 in Yerevan. Defending champions Germany clinched a place at next year’s World Cup in Russia with a 3-1 win in Northern Ireland. 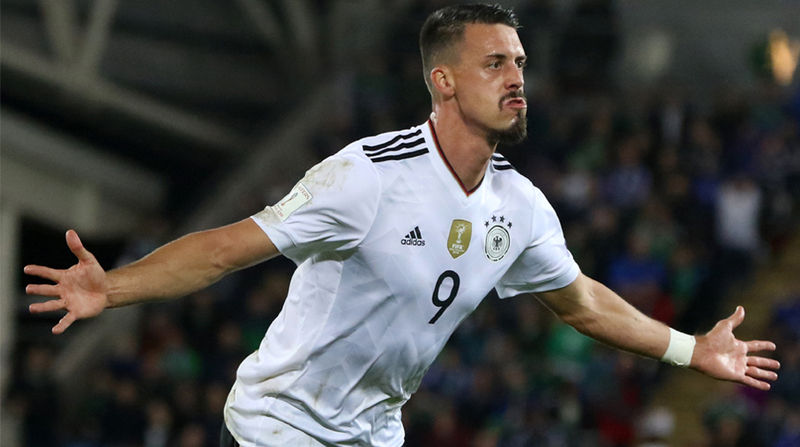 Sebastian Rudy and Sandro Wagner struck brilliant first-half goals in Belfast before Joshua Kimmich added a late third as Joachim Loew’s team made it nine wins out of nine in European qualifying Group C on Thursday. The four-time world champions also maintained their proud unbeaten away record in World Cup qualifiers — a run spanning an incredible 47 matches dating back to 1934. “We’re off to Russia, to tear it up! We want to successfully defend the World Cup title,” said Bayern Munich midfielder Rudy following his first international goal.